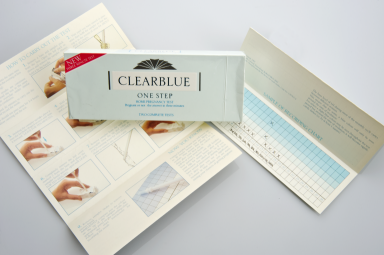 From the late 1980s, easy to use at home pregnancy tests became an increasingly common way for mums-to-be to confirm their pregnancy before they reached out to their GP for confirmation. The availability of such tests altered where pregnancy was confirmed and when women chose to access maternity care through the NHS. They represented an important way in which scientific technology - the ability to determine pregnancy - was domesticated and controlled by individual women outside of the NHS while still situating maternity care firmly within it.